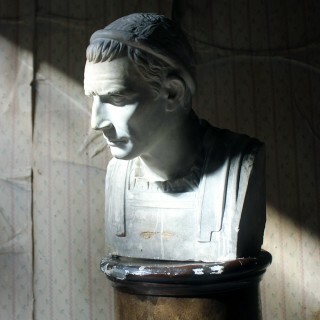 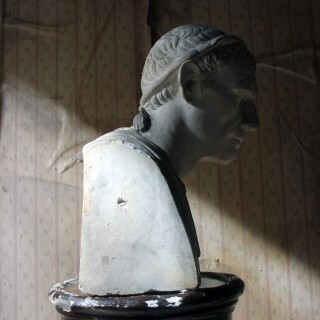 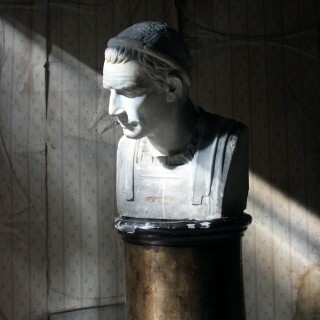 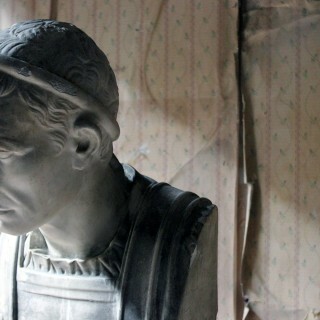 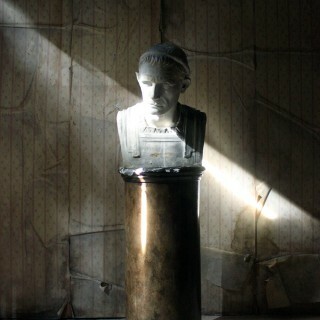 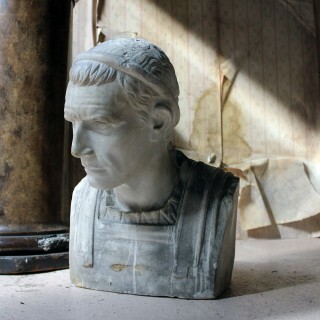 The very decorative part slate grey painted plaster portrait bust of the emperor Julius Caesar, in his prime years, shown shoulder length in state dress, facing slightly to dexter, and surviving from the last quarter of the nineteenth century. 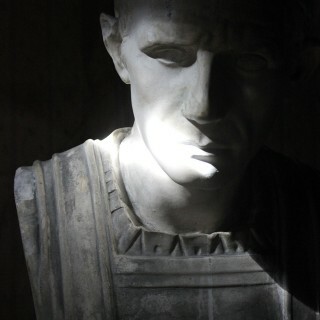 Julius Caesar needs no introduction, the statesman and general (100-44 B.C.) 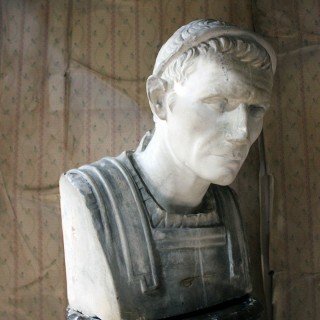 expanded the Roman Republic through a series of battles across Europe before declaring himself dictator for life. 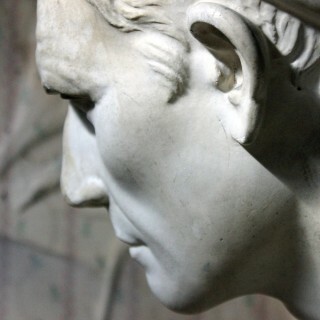 He died famously on the steps of the Senate at the hands of political rivals. 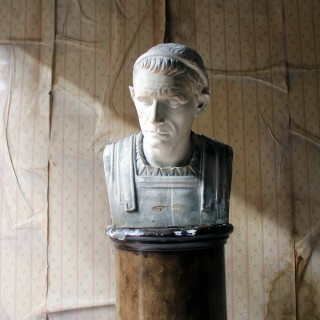 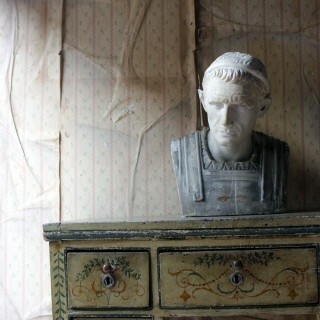 A beautiful bust of suitable size and presence, a bit like the man himself. 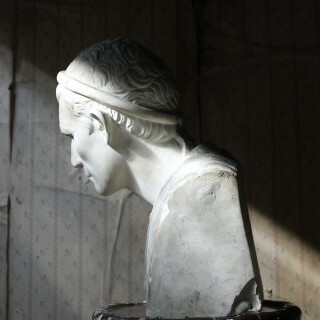 The bust has a very decorative appearance with a repair to the nose and the right ear. 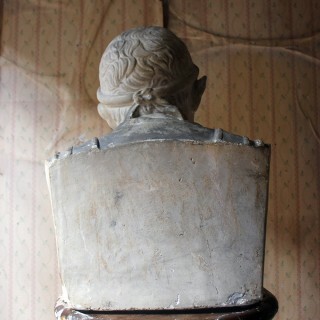 There is some other chipping and discolouration as per the photographs. 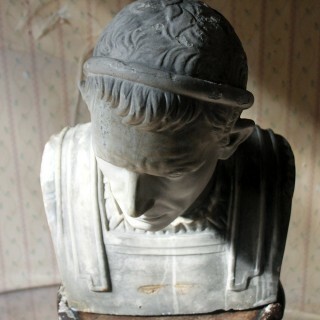 The piece has a chipped corner to the base, there doesn’t appear to be any markings, and he proves stable and solid.